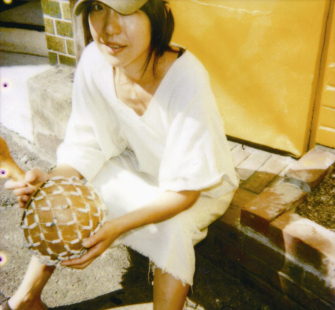 Yoshimi started drumming in BOREDOMS in 1988. She joined Kim Gordon's FREE KITTEN in 1992. She formed OOIOO where she plays guitar. She is a member of SAICOBABA where she plays piano. She has also started to release solo recordings under the name YOSHIMIO. Yoshimi is an artist who does not belong to any genre nor any country. Yoshimi continues to move on to other stages of the world and sounds where no one has ever been.